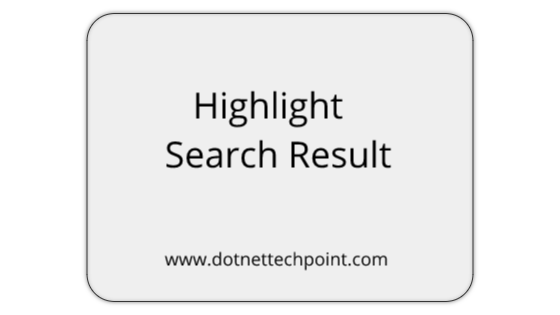 In this article we will learn how to highlight, search text on a page. It works like Ctrl + F functionality on any web browser or office package, programming language or anywhere. Perform this task we will create and Web Application add a web page and bind dynamic data from database. Let’s start it with example. 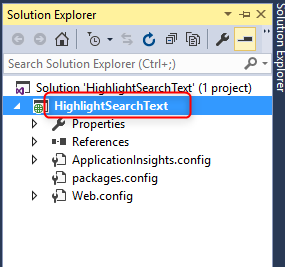 Open Visual Studio-> Create new project which is "HighlightSearchText". After click on OK button. After click OK button out project is created successfully. Now add a web page with name “Index.aspx”. After click on Web Form our Index.aspx page is created successfully and bind the record I will use GridView Control on Index.aspx. 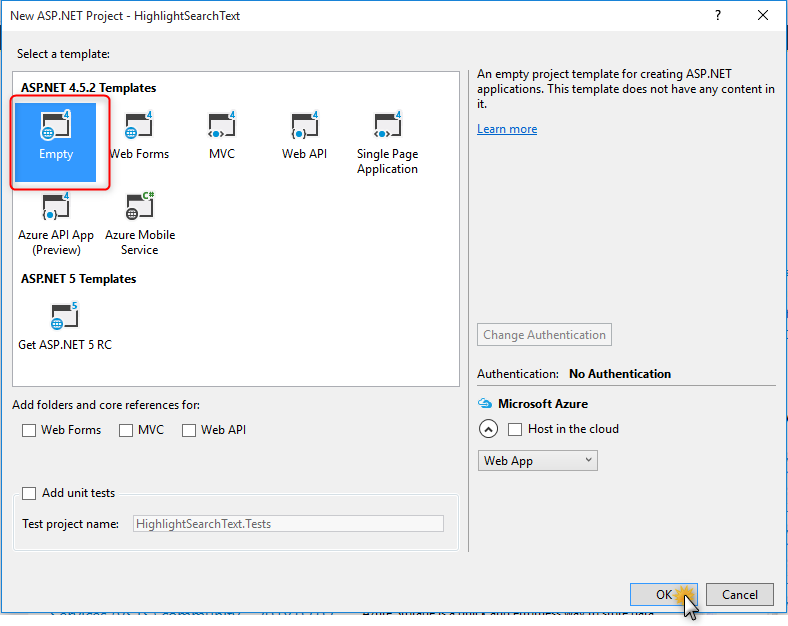 <asp:GridView ID="hlGrid" runat="server" Style="width: 60%; margin-left: 100px"
Also add a input box for search record. 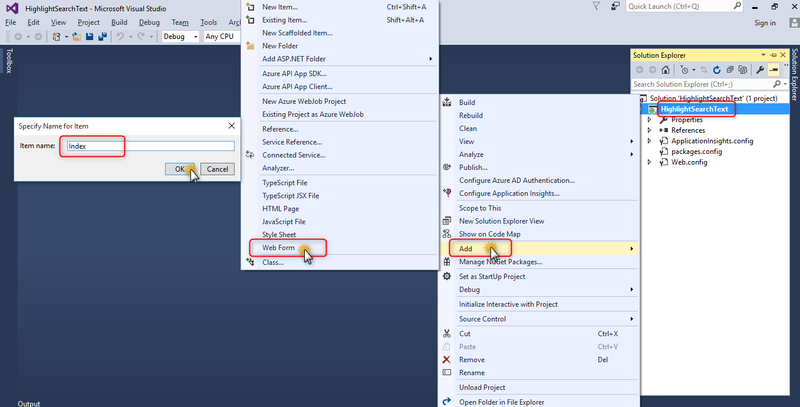 Now create a connection string in web.config file. Get connection string from web.config file. And then get data from database. 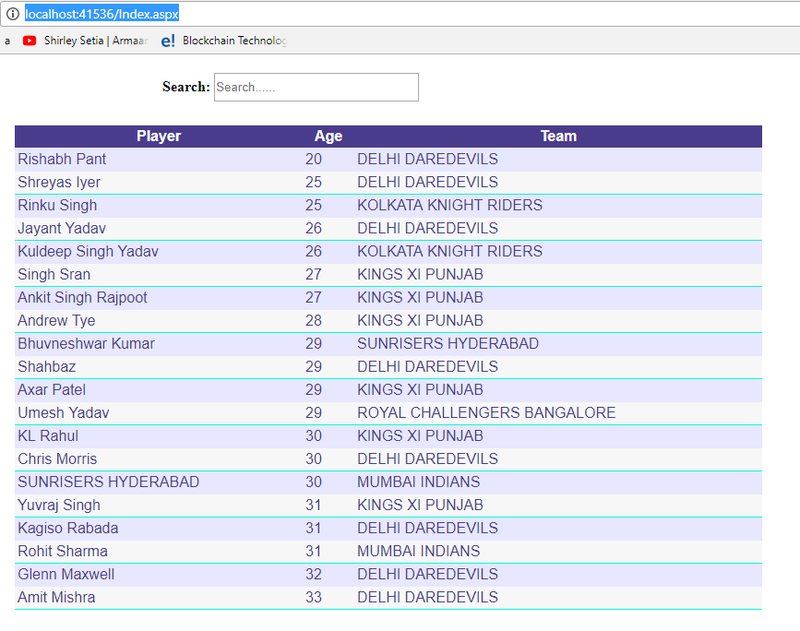 Create a function which return the list of all player. Bind the records in GridView I have to call getStudentDetails() method inside page load event. For highlight search text we will use some jquery reference. Those reference we will use given below. And also we need write css which is given below. And then get data from database. Output: Now write a query, when enter any value in input text it show searched text in yellow color. For do this we use keyup event. Input text has search class when we write any character in input text then fire keyup event and find the text inside searchText class and show it in yellow color. 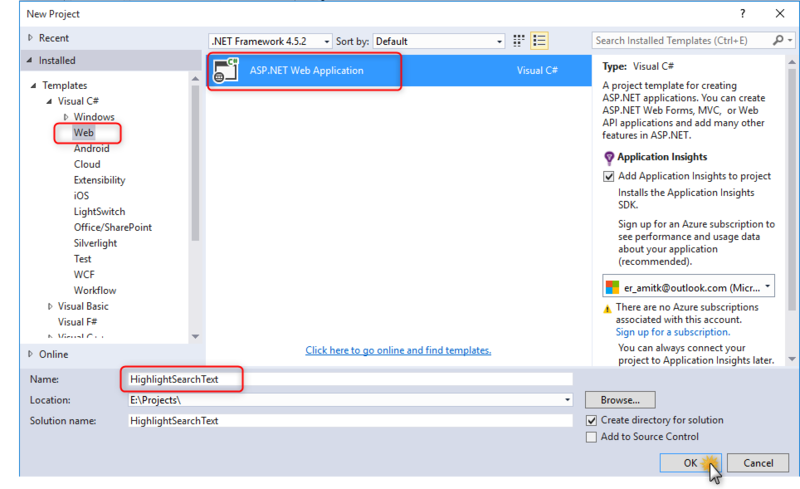 Conclusion: In this article we will learn, how to implement Ctrl + F functionality in Asp.net Web form and we can use this login in anywhere in programming language.